Yesterday something quite special happened in Brussels. Something that only happens once every two years. 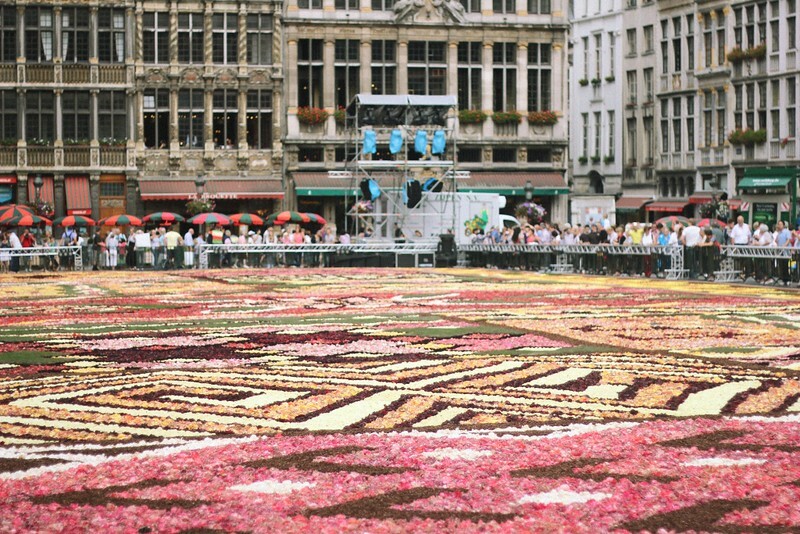 Hundreds of thousands of petals have been laid out all day to form what is the largest flower carpet in the world. 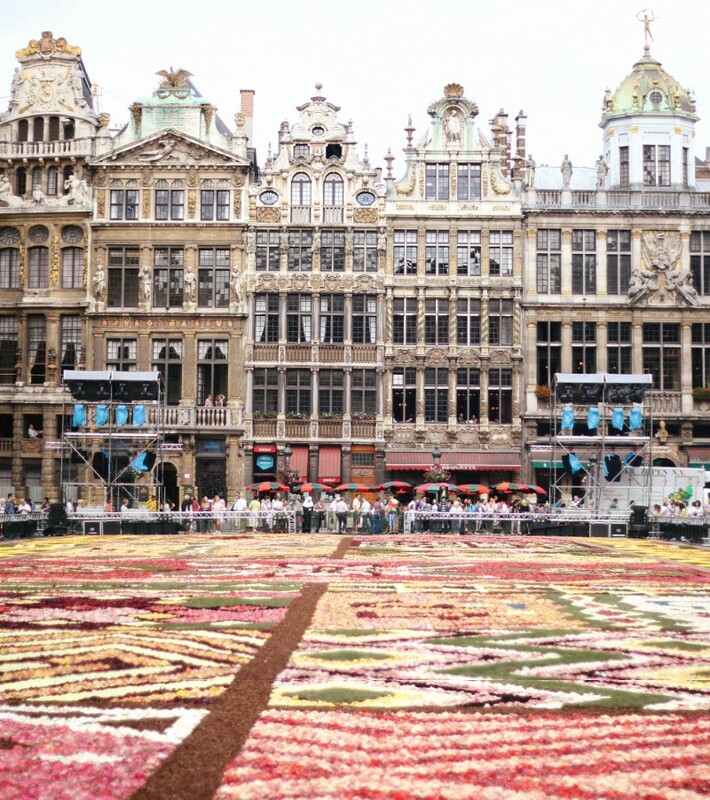 Until Sunday night, the carpet will brighten up the centre of one of the most beautiful squares in Europe (okay I might be biased here): Grand Place. 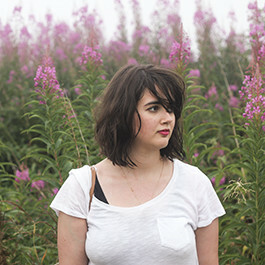 I remember the event being one of the highlights of my Summer as a kid and I’m a bit sad I won’t be there to witness it this weekend. Those pictures are from a couple of years ago but fortunately my mum sent me pictures of last night’s opening so it’s a bit like being back home for a bit. 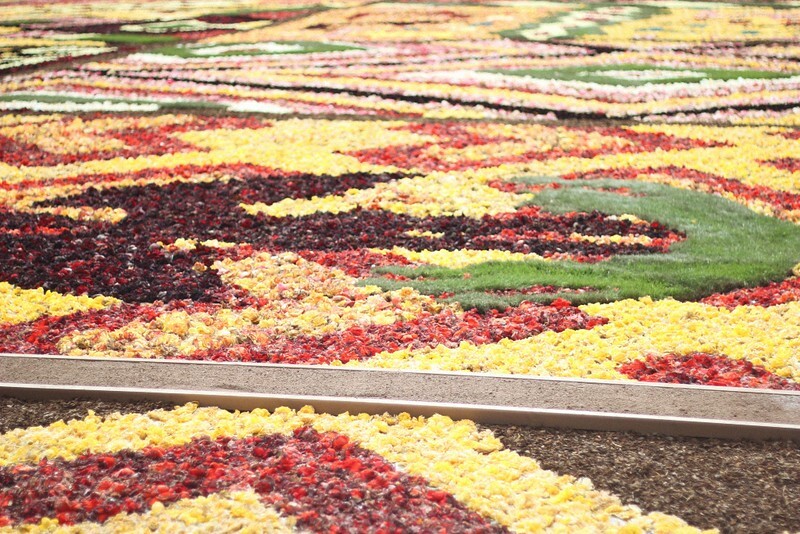 The design of the carpet follows a different theme each time and this year, it celebrates the 50th year anniversary of Turkish immigration in Belgium. 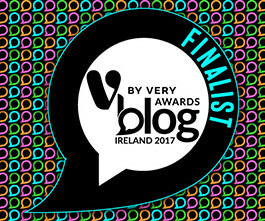 The pattern is inspired by the intricate Persian carpets ‘kilims‘. 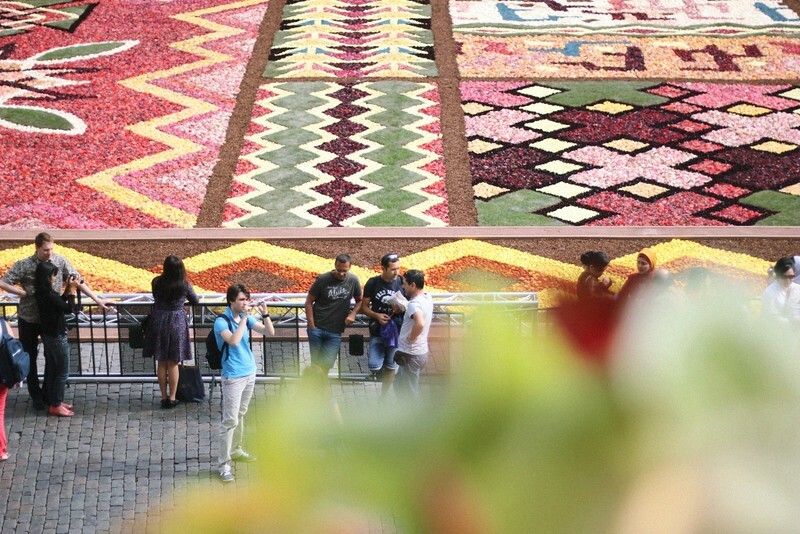 The carpet is made of hundreds of thousands of begonia petals. The begonia proves to be the perfect flower for such a feat as it’s quite robust against bad weather and it doesn’t lose its vivid and colourful aspects under the bright sun. The tradition started in the 70s and lit many a Brusseleer‘s (aka Brussels’ inhabitant) heart with joy and pride. 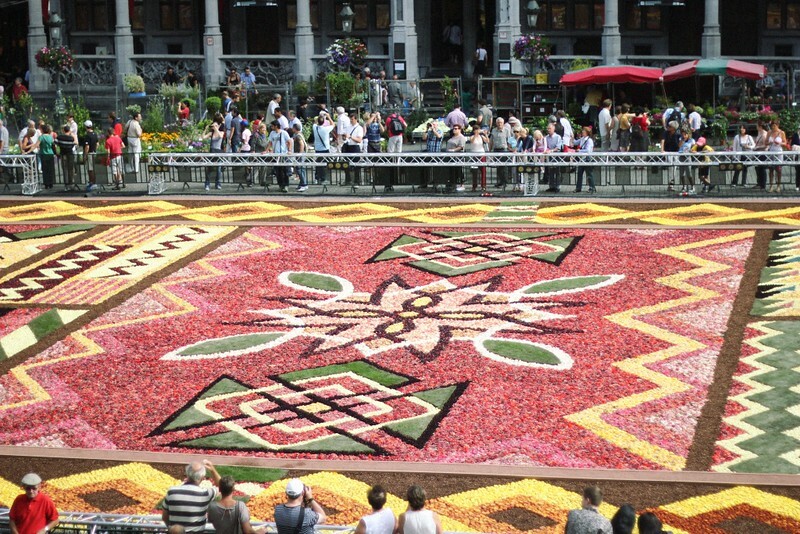 I couldn’t recommend enough you go and see the flowery Grand Place with your own eyes, it is truly quite something to witness the serious grandeur of the square buildings that lasted many centuries come together with the bright, cheerful ephemerality of the carpet. 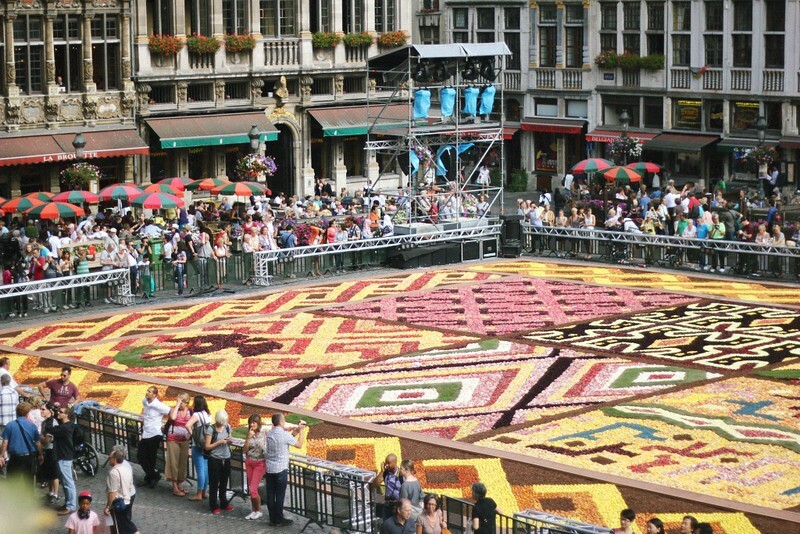 Also, every evening, a light and sound show will take place on the square to top up this giant flower cake. 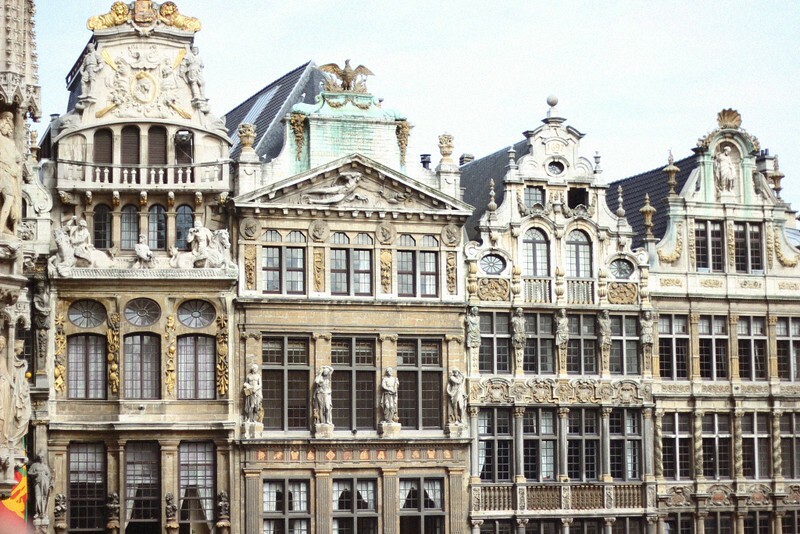 Top Tip: For a panoramic view of the carpet and the Grand Place, enter the City Hall and access the balcony.